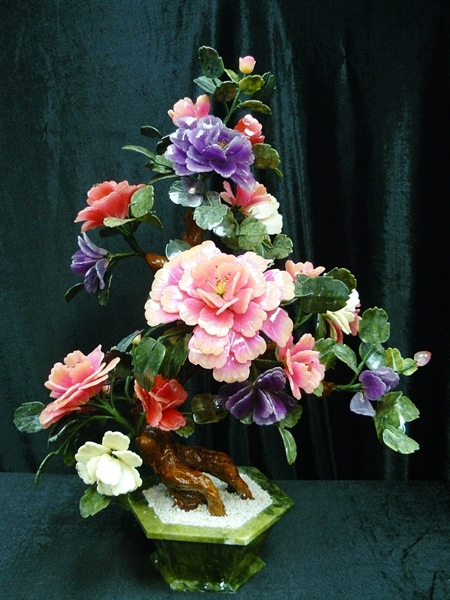 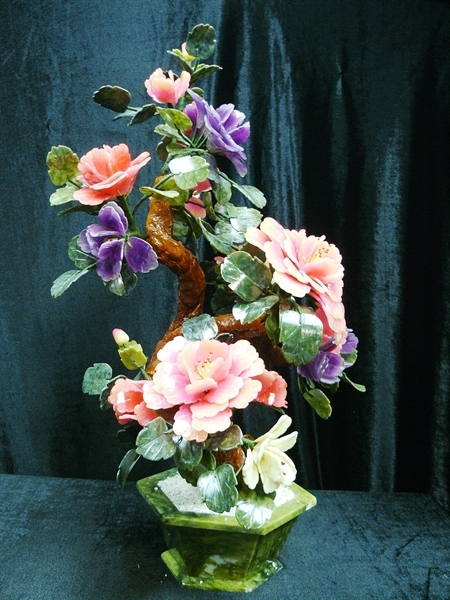 THIS LOVELY JADE FLOWER TREE IS MADE OF GENUINE JADE. 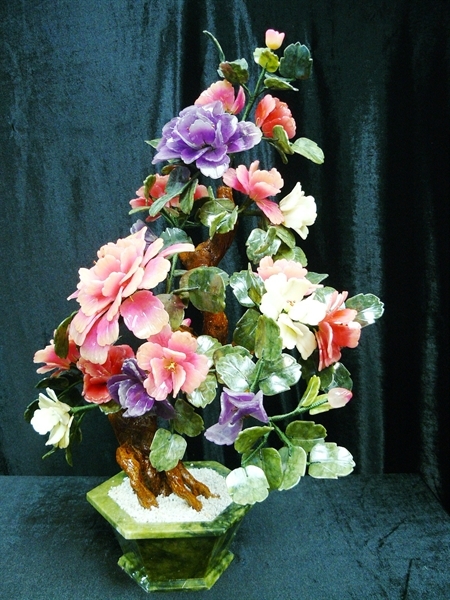 THERE ARE WHITE, YELLOW, GREEN, PURPLE AND RED. THE LEAVES ARE MADE OF TAIWAN GREEN JADE. 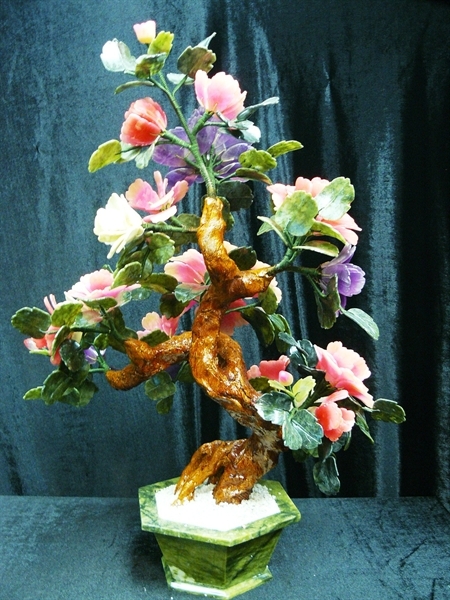 THE TREE IS PLANTED ON A GREEN JADE POT FILLED WITH HAN WHITE JADE.